This site is intended to give a little information on the how and why of making the items for sale in the store. If you see something you really like, it might be for sale in the jewellery store. Or drop me a line, if I made it once, I should be able to make it again. The wax master is obtained in a number of ways. It may be individually carved, either by hand, or more recently by cnc mill. If a silicone or rubber mould is made, then wax can be injected into them to create multiple copies. Another option is that plastic parts can be reproduced directly. The ‘wax’ used today by jewellers is more accurately a plastic, which comes in many varieties, depending on whether it is intended to be carved by hand, milled, injected into a mould etc… 3d printer parts are often suitable to be directly burnt out. 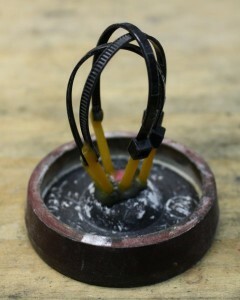 In the photo below, you can see a number of ordinary plastic cable ties set on a rubber base. 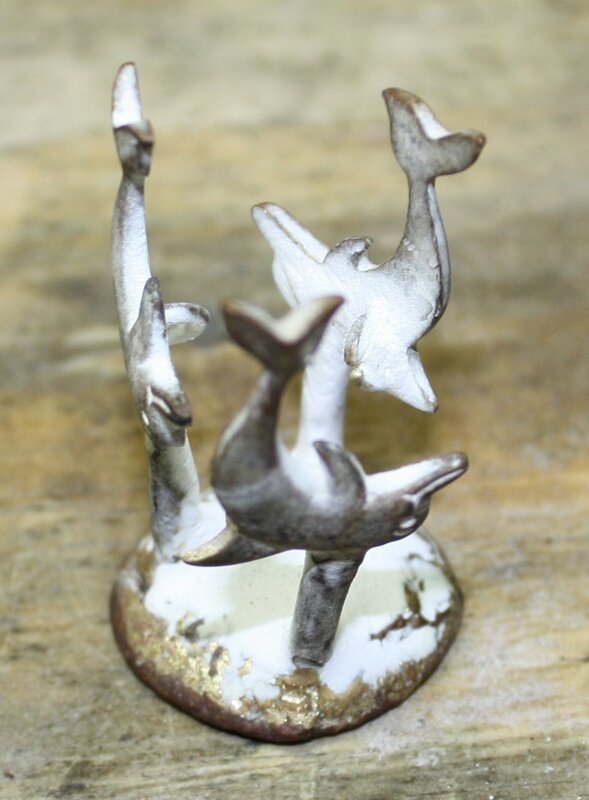 They are attached to the base with yellow wax sprues, simply melted onto the ties to hold them in place and provide a pathway for the molten metal to flow. Many parts can be cast at the same time, but they must all be similar, as different thicknesses need to be cast at different temperatures. In the photo here you can see the cable ties, a number of lego pieces (I am sorry, lego was harmed in the making of this article, but for a good cause – lego jewellery. ), pink shells and signs. The pink wax has been injected into a silicon mould. The rubber bases are flexible and fit over steel flasks as can be seen below. The mould is formed by a plaster type mix known as ‘investment’. The investment will begin to cure as soon as it is mixed with water, and will become hard in about 10 minutes. Careful preparation is required, as if your wife catches you using her mixer there will be trouble. Once the investment is mixed, it is placed into a vacuum to pull out bubbles. One of the more annoying things when casting is to have a little air bubble attach to your wax. 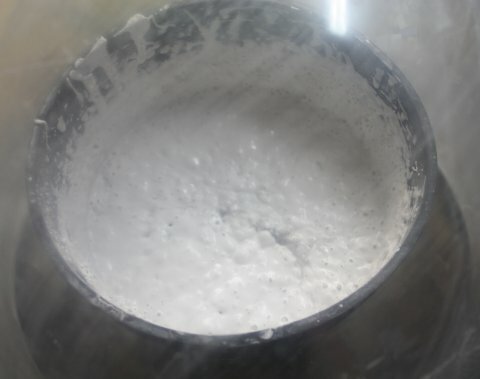 When the casting is completed, you will have a little metal bubble, which will generally be attached to a surface you cannot file to clean it up. The vacuum pump is sufficiently powerful to boil room temperature water, and the investment mixture will boil. The flasks after the investment has cured. The numbers simply let you know which flask is which, so they are cast with the right metal and at the right temperature. After the investment has set, we start to work on the ‘lost’ part of the lost wax. For jewellery making we heat the flasks to 730C over about 9 hours. During this time, the was first melts out of our mould, then any residue is burnt out. When this is complete, we drop it to the temperature we will cast at. If the flask is too hot when we cast, when we go to polish the finished product, we will find small pits. If it is too cold, the mould will not be completely filled. The range is usually in the 500C to 650C area. The simplest may to get the metal into the mould is using centrifugal casting. The caster has a spring in the middle, which is wound up. When the metal is molten, it is released and the metal is spun into the mould. In most jewellery applications, the finished product is removed while the metal is still hot. Dunking the flask into a bucket of water will shock the investment and it will fall apart, leaving a metal reproduction of your plastic parts on a button. As you might have noticed, I forgot to take a photo of the cable ties before I removed them and cleaned them up, but I am sure you get the idea. 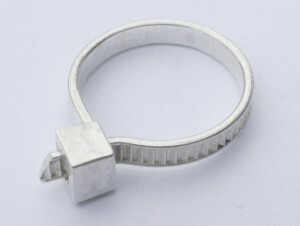 A great deal of jewellery is produced using this technique. It is a relatively simple and low tech method , but is very versatile. As well as precious metals, a variety of different types of brass can be cast as well. If you like the ring, it is for sale.